Tip: If you want your supplies to match, choose products from the same line within the same brand. Alternatively, if you can’t find everything you want, pick a contrasting color (or just white) instead of a different shade of the same color in a different brand that might be more likely to clash. 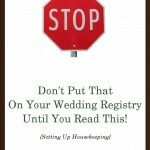 Tip: Sometimes buying something non-disposable might make more sense (like this round tablecloth) if you can use it again or give it as a gift to the bride and groom. Tip: To save money, combine patterned party supplies with plain ones, like ordinary ol’ white plates or napkins. White’s a good color too! These aren’t quite “polka dots” either, but there are a couple of those sets under “more options” below. 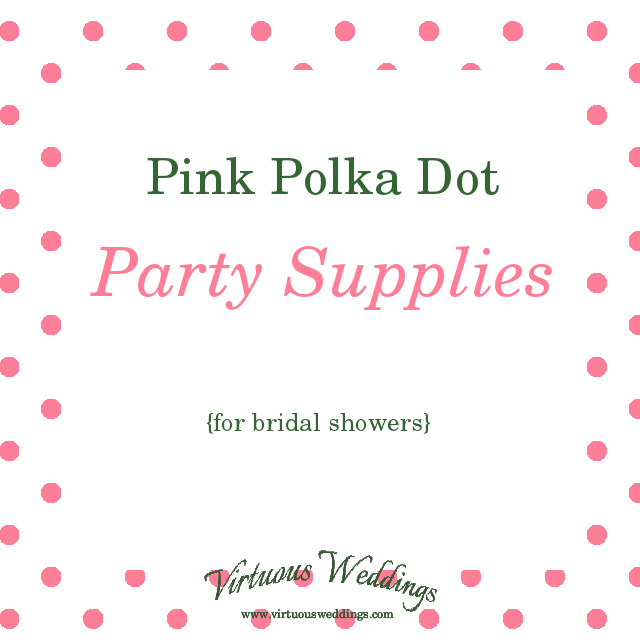 You can totally throw a pink polka dot bridal shower!